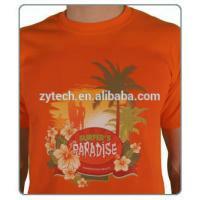 T-shirt and textile products like towel fabric,sheets and pillow cases shopping bags,aprons,gloves etc. 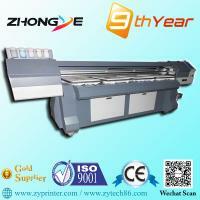 The machine through different quality tests is stable and competent enough for mass production requirement . 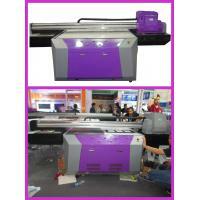 1440dpi overturns the highest resolution of traditional printers which leads the resolution of T-shirt printing to a new standard. 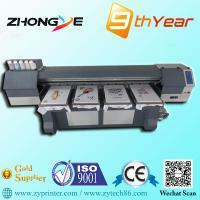 Liaoning ZhongYe technology and industry Development Co., Ltd is one of the leading manufacturers in China, which dedicates all its strength to produce and distribute digital printing machines, outdoor printing media, indoor inkjet printing media etc. Our company has 216 office workers, with strong technology research and development team, including four electronic engineers, two software engineers, twelve mechanical engineers, six test engineers, etc. The company, with 35,000 square meters production lines and over RMB50 million investments, is located in the Shenyang City of old industrial bases of china, near Dalian port of huge international sea port. 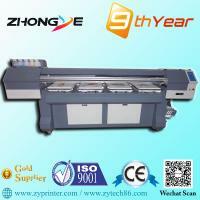 Over 2000 printing equipment is launched and RMB 300 million incomes are carried out per year. Warranty is one year. The spares (not include the printhead and easily broken spares) are free to change or fix in case of some faulty or out of order. 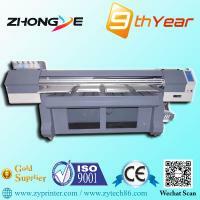 In order to know better about the printer, customers can come to our factory to learn or customers can invite our technicians to your workshop. The training is free. But no matter in which occasion, customers need to pay for the transportation. If you invite our technician, customers need afford the accommodation. We have a strong after-sales-service department with experienced English speaking technicians who can provide support at any time. You can write e-mail, make a call or chat online etc.